The Northern District of California granted a motion to strike aiding and abetting allegations from a class action complaint. Toy v. Triwire Engineering Solutions, Inc., No. C 10-1929 SI, 2010 WL 3448535 (N.D. Cal. Sept. 1, 2010) (slip op.). 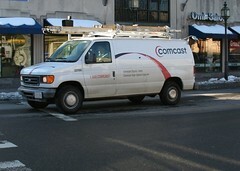 Plaintiff also alleged that Comcast “aided and abetted” TriWire in its alleged violations of the law “with full knowledge that TriWire was not complying with California and Federal wage compensation laws.” Id.The complaint alleged that “by shifting responsibility for the installation of Comcast equipment to TriWire and knowingly allowing TriWire to systematically underpay its cable technicians including plaintiff and all class members, Comcast was able to unfairly compete in the market place by reducing the true costs of installing and servicing its equipment through the use of laborers paid less than lawful wages.” Id.